The car will be sold from $13,900, $680 less than the current edition, a complete bargain for such a nice hatchback. 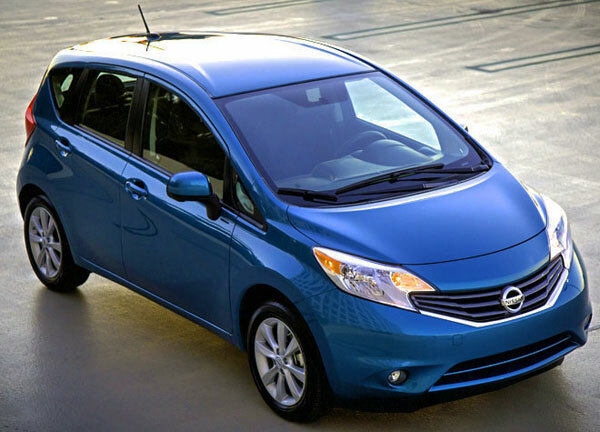 Within a few days, the 2014 Nissan Versa Note will go on sale in the U.S. market and will do it with a starting price of $13,900, without including $790 for destination fees. Compared to the current base version of the Nissan Versa Hatch, this figure shows that the new Versa Note 2014 is $680 cheaper. The car will be offered in three trim levels: S, S Plus and SV. Additionally, other package equipments will be available, like the SV Convenience Package, SL Package and SL Tech Package. Regardless of which version, they are all loaded with a 1.6 liter 4 cylinder engine. The S version is equipped with a 5-speed manual transmission, while the S Plus and SV versions work with the new Nissan Xtronic CVT transmission. Units with this continuously variable transmission (CVT) have the ability to deliver a high fuel efficiency of 31 MPG within the city, 40 MPG on highways and 35 MPG in combined way. In the case of S Plus units, will be sold from a starting price of $15,240. On the other hand, the SV will be labeled for $15,990. The Versa Note 2014, besides being built for one of the most known and reputable Japanese automakers, is one of the most affordable new 2014 cars you will able to buy it soon in the US market, and due to its cheap price, fact that is worrying to the industry, this vehicle is part of our of TOP10 Cheapest New Hatchback Cars in USA list, just in case you want to check it out and soon we are going to talk a little bit more about it to see if it's a worth it car or not. Stay in touch. Check out these 12 pictures and meet one of the most affordable and versatile new Nissan cars for this coming 2014. Stiff competition for the Honda Fit, too similar both vehicles. For $400 more dollars you can get a better economical car that is more stylish and has a better and more modern interior look, give a look to the Toyota Yaris. Nissan could down the price of this vehicle for below $10000 if they want to, but I don't think that's going to increase sales because American people hate small cars.